Another summer almost over … hope to goodness the worst heat is over. How clueless was the building industry about energy efficiency when most of our houses were built! Who does not want to save energy now – and it is indeed all our duty to relieve the pressure on the national energy supply. Our double storey really cooks upstairs, where we work. Ancient traces of insulation in the attic indicate neglect in this department. How do we smart up a stupid house? “While some components of energy-smart design have the potential for greater energy savings than others, overall energy savings depend on their combination and interaction. In looking at the greening of a building, the very first variable to investigate is insulation. Before you think of heating or cooling a building, look at passive temperature control. I am always amazed to see how many houses have no insulation at all. During the warm summer months, the hot rays of the sun penetrates the surface of your roof, and heats up the still air trapped inside. This hot air quickly finds its way through your ceiling and into your living space, making your home uncomfortable and hot. During the winter months, the reverse is true. The heat generated by your heater or fireplace moves up through your ceiling, reducing your home’s temperature and increasing your heating bills. So it’s important to have a sufficiently thick layer of insulation on your attic to stop this heat loss, and heat inflow through your ceiling. 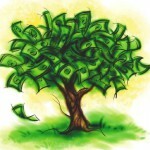 Of course we can save money this way, but how much? According to Escom an insulated room requires 51% less energy to heat up or cool down than one that isn’t. Insulation therefore makes the work of heating and cooling systems like heaters and air conditioners much easier. This means that insulation can reduce the energy demand of these systems, which are responsible for a significant share of a household’s electricity consumption and costs. 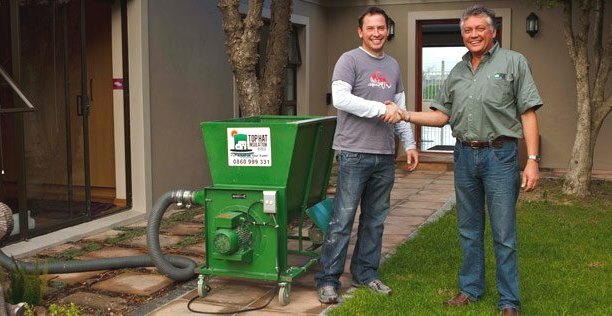 I spoke to Johan Gerber from Top Hat Insulation. They blow recycled newsprint into your ceiling. Cellulose Fibre insulation is made from finely shredded recycled paper that is milled into a light fibrous matrix, which is chemically treated to resist fire and fungal growth. Due to the small size of the particles, cellulose can ‘flow’ around obstructions (nails, electrical wires, trusses, etc.) to give a uniform fill. 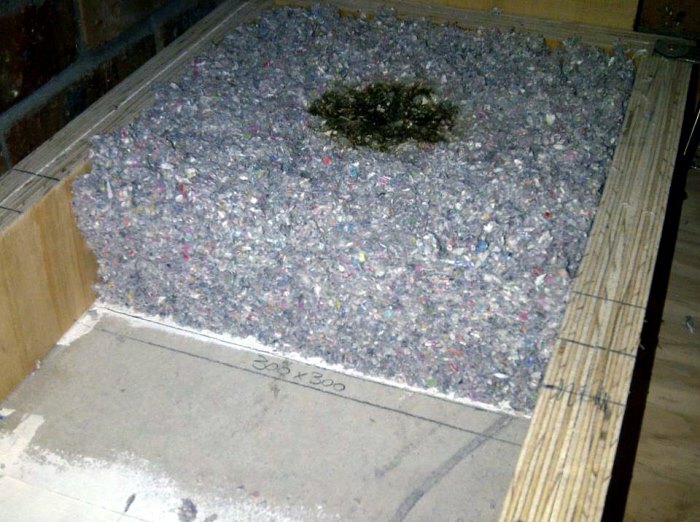 TopHat’s Cellulose insulation is converted newsprint with the addition of a harmless naturally occurring chemical, rendering it highly fire and rodent resistant. The advanced process of their mill produces a light wool like material, which effectively traps air pockets. These air pockets form a resistance to the movement of air. The transmission of air from hot to cold is reduced by over 85%. This keeps you cool in the summer and warm in the winter, saving considerable energy and cost. This cellulose insulation is so thick – 135mm – that it also reduces the transmission of sound by up to 45 decibels, making the home quieter too. What a bonus! This eco insulation has the largest amount of post-consumer recycled content in the industry and contains 85% newspaper waste. It is also fully recyclable and takes 20 to 40 times less energy to make than other insulation materials. Insulation performance is measured in “R-value” (m.sqK/W). The higher the “R”-value, the more effective the insulation material. TopHat Insulation has an “R-value” of above 3.3 at a thickness of 135mm. 3.3 is the recommended “R-value” requirement for insulation in most of South Africa (it is marginally lower in KZN type climates). Most other forms of insulation would need to exceed this thickness to achieve the same insulation performance. I definitely don’t want to experience another summer, nor winter, without this obvious protection against the elements. 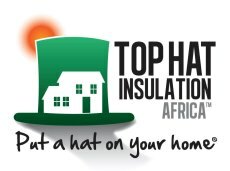 I was pleased to hear that insulation supplied by TopHat is more affordable than all other methods to achieve the same result. 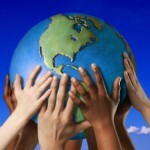 This is the next step in my greening home for sure. That’s why we build with sandbags and finish it off with an insulated roof. Our houses are as cool as cucumbers.